Younghyun Kim is an Assistant Professor in the Department of Electrical and Computer Engineering at the University of Wisconsin–Madison. 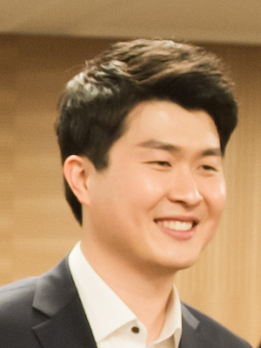 He received his Ph.D. degree in electrical engineering and computer science at Seoul National University in 2013 and a B.S. degree with Highest Honor in computer science and engineering at Seoul National University in 2007. He was a visiting scholar at the University of Southern California from 2009 to 2011, and a postdoctoral researcher at Purdue University from 2013 to 2016. He received multiple awards, including the EDAA Outstanding Dissertation Award (2013), ISLPED Low Power Design Award (2007 and 2012), and IEEE SSCS Seoul Chapter at ISOCC (2009). His current research interests include power management of emerging embedded systems, energy harvesting and storage systems, and secure implantable and wearable medical devices. Open position: I am loooking for PhD students to join my research group. Desired skills and experience include C, Matlab, real-time OS, mobile OS, and PCB design. If interested, please email your CV highlighting your expertise and related projects to Prof. Kim.